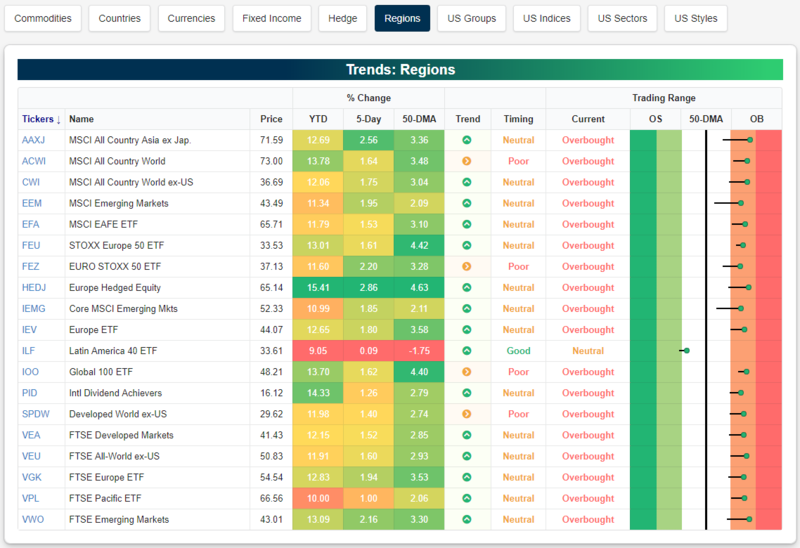 As shown in the Trend Analyzer snapshot below, all but one of the regional ETFs that we track are trading overbought at the moment, with the Latin America 40 (ILF) the lone holdout. ILF is actually still below its 50-day moving average, so it has a ways to go to catch up with the rest of the group. Europe Hedged (HEDJ), MSCI All Country Asia ex Japan (AAXJ), and FTSE Emerging Markets (VWO) are the most extended above their 50-DMAs. Start a two-week free trial to Bespoke Premium to access our interactive research portal. You won’t be disappointed!